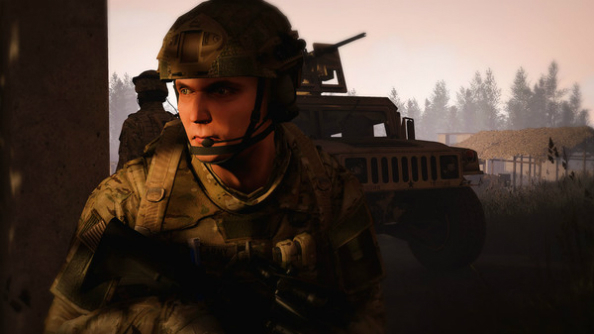 Offworld Industries, the indie team of Battlefield Project Reality developers behind Squad, have spent some time answering fan questions, revealing what’s in store for the mil-sim early access title. For more great FPS games on PC, shoot through here. On a Reddit AMA thread, lead programmer Garrett ‘RoyAwesome’ Fleenor, founder Will ‘Merlin’ Stahl and many more of the team threw in their hats for questions to be deposited. What came out was hints that the next alpha version (a9) could be with us before the winter holidays kick off, and though not immediately, could see the introduction of a class that adds more to a close-quarters scenario with urban and city maps still in the pipeline. More details were also given on the potential for a progression system once the game’s mechanics are all set in stone and it approaches more of a beta stage of development. However the team is aware that some common ways of rewarding long-time players, such as with gun or equipment unlocks, could deviate from the current plans for the game’s tactical focus. More details were given on when to expect the next round of optimisations for lower-powered systems, with special considerations being made for CPU variations in this round. On the lighter side of development insight, Stahl also revealed his favourite quirk of the game’s engine had also made it into the game as quite a realistic (if gruesome) clutch manoeuvre.